“Hot/Cold Muscle Cream” activates the blood circulation; its double action Heat/Cold creates a hyperemia which relaxes the muscle. Its ingredients treat muscular inflammation, soothing and relieving rheumatic and circulatory symptoms, providing a sense of relief from muscle soreness. Regenerates and thanks to the Menthol and Camphor together with Methyl Salicylate cause cold and analgesic effect. Recommended for tension, fatigue or muscle pain. APPLICATION: Apply to the affected area, massaging with pressure and circular movements until completely absorbed. Use 2 or 3 times daily until pain or muscle tension disappear. Wash your hands carefully after using it. Moisturizes and protects from external aggressions, fades premature skin blotches and nourishes nails. Helps prevent the signs of aging by softening and smoothing the skin. Thanks to the Aloe Vera component, regenerates the epidermis. Recommended for dry, dehydrated and blotchy skin. APPLICATION: Apply a small amount 3 or 4 times daily on your hands, extend until completely absorbed. With Aloe, Resveratrol, Hialuronic Acid and Vitamin E. U.V. Protection spf 15. It is an intensive firming, moisturizing and antioxidant cream. It repairs and smoothes fine lines and visibly fills lines marked by age. Due to the “Resveratrol” the Vitamin E maintains 100% of its properties throughout the entire process of regeneration of the skin, helps to produce collagen and elastin stimulating skin cells. This ingredient is an antioxidant and prevents the appearance of stains and dims existing ones. Regenerates and nourishes with a high level of vitamins repairing the deeper layers of the epidermis. Recommended for mature, flaccid or skin aged by external climatological agents. Face, neck and cleavage cream. APPLICATION: Apply on clean skin with upwards circular movements to face, neck and cleavage until completely absorbed once or twice daily. Due to its high content in 100% pure aloe vera and organic sunscreen component can irritate the eyes. Avoid the application around the eyes. 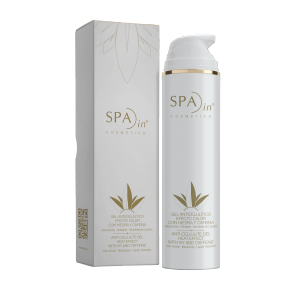 It moisturizes and nourishes quickly activating the flexibility and smoothness of the skin. Leaves a feeling of freshness for a long time after application, it is light and gentle, regenerates intensely and revitalizes even the deepest layers of the skin. It contains a natural moisturizing factor of the skin consisting of urea, lactic acid, glutamic acid and B complex (Horse Chestnut and Vitamins A and E) decongestants and activators of circulation helping the absorption of active ingredients which give a natural skin tone. Rejuvenates the face due to the contribution of Vitamin A. Recommended for all skin types, especially for dry and dull skin. Face, neck and cleavage cream. APPLICATION: Apply to clean skin 1 or 2 times daily with upwards circular movements until completely absorbed. Due to its high content in 100% pure aloe vera and organic sunscreen component can irritate the eyes. Avoid the application around the eyes. Reducing acts as a vasodilator and helps to combat cellulite effectively and rapidly localized in specific areas such as thighs, buttocks and abdomen. Its formula based Seaweed accelerates combustion and mobilization of stored fat and rebellious cellulite, and improve the elasticity and skin texture. Suitable for people with fluid retention, accumulated fat and cellulite in specific areas. To encourage the effect of the gel, using Cold Gel Tired Legs. Apply daily night and day with up and down massage to activate blood and lymphatic circulation. Do not use near the eyes or mucous membranes. Do not apply in areas with poor venous circulation. Wash hands thoroughly after application. Test before using on very sensitive skin and causing a passenger by the effect of heat redness. If excessive redness stop using. It leaves the skin soft, regenerated and very hydrated. The Organic Silicon component helps skin regain its natural elasticity provided by collagen and elastin. The pleasant aroma of orange produces energy intake in the person. Recommended for those people who have suffered from skin stretching due to pregnancy, temporary weight gain or people that genetically have flaccid skin requiring tonification. APPLICATION: Apply twice daily over any area of the body lacking from skin tone with upwards circular movements during 5 to 10 min. Its rich but not greasy texture is instantly absorbed allowing for quick clothing. The Hyaluronic Acid provides an intense hydration effect to the skin, this cream has a light texture and quick absorption. Due to the properties of the Aloe, it regenerates and hydrates the skin keeping it smooth, healthy and protected whilst combating the negative effects of the climate. It is an Anti-Oxidant by the Vitamin E.
APPLICATION: Apply all over the body day and night with circular movements until completely absorbed. Refreshes the skin reducing the feeling of heaviness in the legs, activates the blood circulation and calms the discomfort due to the natural anti- inflammatory action of Devil’s Claw. Specially for tired and swollen legs, with poor blood circulation or fluid retention. As anti-cellulite: It is an ideal complement to anti-cellulite treatments, it helps to eliminate fat and stimulates cell metabolism. APPLICATION: Apply a thin layer of gel 2 or 3 times daily on clean skin, massage gently in circular movements upwards and downwards to activate the lymphatic flow and blood circulation. Ecological Aloe Vera from Fuerteventura, contains natural vitamins, polysaccharides, amino acids and minerals that activate the collagen and elastin of the skin acting as protector of the dermis. Recommended for any irritation of the skin (burns, dry skin, irritation…). To regenerate, refresh and calm after a minor burn (especially sunburn). 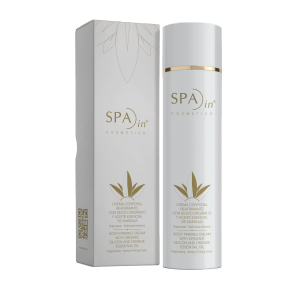 As a skin restructuring treatment in cases of severe dryness, apply every day under the “Body Moisturizer with Vitamin E”, from “Spa in Cosmetics®”. APPLICATION: Apply gently until completely absorbed 2 or 3 times daily.